Your Startup’s Vision Statement. Have You Given Any Thought To It? When startups are formed, vision statements are just words forced out of your mouth to sit in your company’s Memorandum of Association. Two months into the business, no one even knows that there is a vision statement. Of course your vision statement plays out in your head many times – just that the vision statements keep changing. When employees are hired, their positions are explained and superiors are mentioned. In meetings that decide the fate of your company, directors mention the vision statement to just add a few more minutes to their speech. So in totality, vision statement is hidden away behind the old stack of files. Many entrepreneurs don’t seem to have any problem with that until I tell you how serious Jeff Bezos takes Amazon’s vision statement. Yes, companies you thought were busy doing their advertising, marketing, R&D right are actually using the vision statement as their company anthem. Really, so how does an incomprehensively sophisticated bundle of words lead my startup to success? Well, not having a vision statement is like, not knowing where you want to go. Most of us have dedicated teams to help with strategies, policies, plans , tactics etc but all of that will be an utter waste if you don’t know what you need to achieve. It’s as simple as this. Don’t make the vision statement a vision para though. It’s incredible how powerfully these words sit in our sub-conscious mind. When you know what it is you have to get, you can figure out how, when, from whom to get it from. The pressure of running the show gets the better of you each day and swaying away from decisions happens in no time. You might start out to build the best customer relationship but end up focusing on how to increase production. A vision statement checks where you’re headed. Acquaint your staff with this vision statement so that everybody knows what it is that their company is supporting. With a vision statement and people working towards it, it is then that a brand image is born. Also make sure to renew your vision statement every couple of years. As they say the only thing that is constant is change. Don’t always run towards a trophy you already have, there are other medals you should go behind. Amazon Inc. today stands for customer service more than books. Apple represents innovation more than the iPhone. Sony stands for brilliance and excellence more than Walkman. 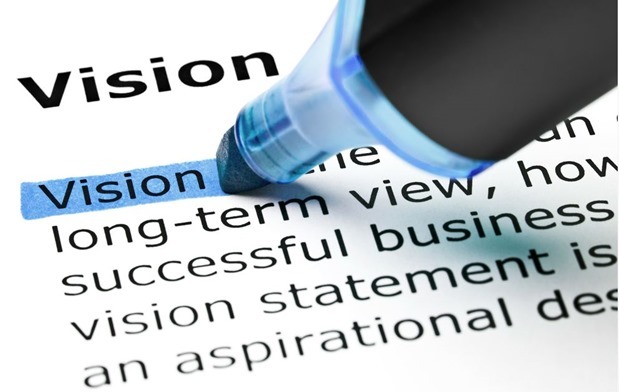 A vision statement can wonders in establishing your brand image. In your today’s to-do, scribble “Make an awesome Vision statement”. Visions statements are something like confidant walking than confused running, if you know what I mean!